Perfume Power launches The Scent Inspired Gift Collection. Fragrance enthusiasts can now enjoy their signature scent in a whole new and creative way. Enhancing scent experiences beyond the norm is a passion for owner Diana Rankin. Her decision on this beautiful collection offers clients an opportunity to more holistically appreciate the powerful benefits that scents have to offer on a daily basis. These new scent inspired products are beautiful and nostalgic gift ideas for individuals and corporates; celebrating special occasions such as Christmas and year- end events. 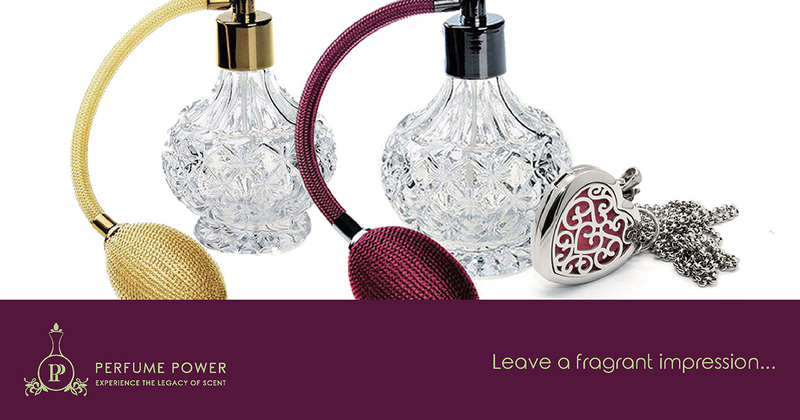 You can choose between vintage perfume bottles, fragrance diffusing jewellery and floral inspired kimonos. Visit the brand-new Scent Inspired Gift page now. Take a special look at the Mini Vintage Perfume Bottle Set for a selection of five beautiful glass bottles ranging from 7 ml to 12 ml.